Thank you for visiting Nav Bhatia’s Mississauga Hyundai Superstore through your AdPerks – Venngo Membership. The Presidents Award of Merit in 2007, 2014 and 2017. Consumers Choice Award for best Hyundai dealership in the GTA in 2015. Canada’s #1 Volume Retailer in 2013 & 2014 back-to-back. Ontario’s #1 Volume Retailer since 2012 – Current. We are committed to meeting and over-delivering your expectations so we can provide you the highest level of service and the vehicle that you not only need but also want. Our location was chosen by Hyundai Canada as one of top dealerships for sales excellence. We have had a great response from many members using Venngo to make purchasing a vehicle easier and more efficient for themselves. Members also get to view the Dealer Invoice and know exactly what they are saving and paying. 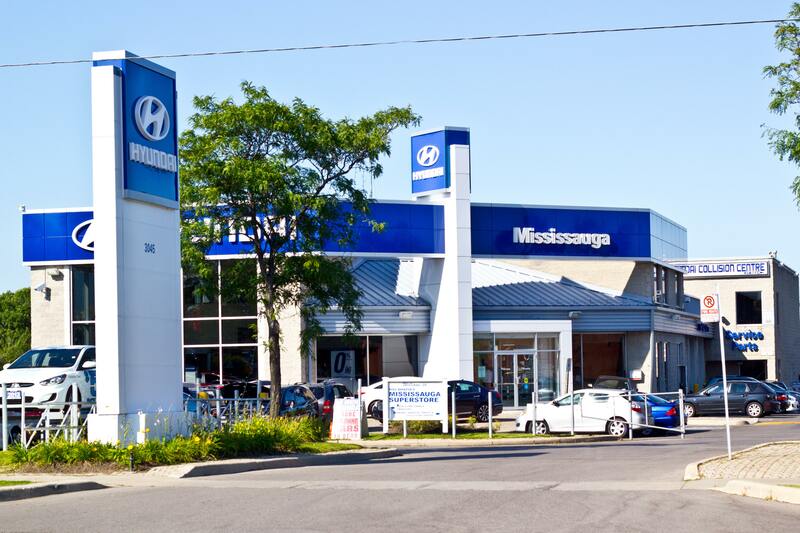 Mississauga Hyundai is devoted to building a relationship with our customers from start to finish and after the sale. We consider you part of our Family. Our dealer has grown so large with customers, referrals and service, we had to update our facility. We now have the most convenient Hyundai Dealership in the GTA, with a Drive-Thru Service Department open 7 days a week, Shuttle Service and Loaner Cars when needed. Yes this is true, we breath, eat and sleep customer service. We believe that “Customer Service” is not a department, but an Attitude! We have 14 Service Bays with over 10 Licensed Technicians and Service Advisors to assist you around the clock. The Parts Department is also available for any make or model of Hyundai. We also offer a shuttle service for those who may require. Forgot to wash your car? Not to worry we offer a complimentary Car Wash when you’re in for service. Our product specialists’ will go above and beyond customer satisfaction and will have you leaving with a smile! Don’t wait and start saving today!